Whether you’re launching your first business intelligence, analytics or information management initiative, or leading the next phase of an existing program, the Gartner Business Intelligence & Information Management Summit gives you the right combination of thought leadership and pragmatism. This year’s agenda is built around the theme of “The Future of Your Business: Transparent, Decisive, Personalized”. From BI fundamentals to embracing new technologies — including organizational change, essential new skills and roles, the latest best practices and what it takes to lead the way — we’ll cover everything you need to know to seize the huge opportunities ahead. 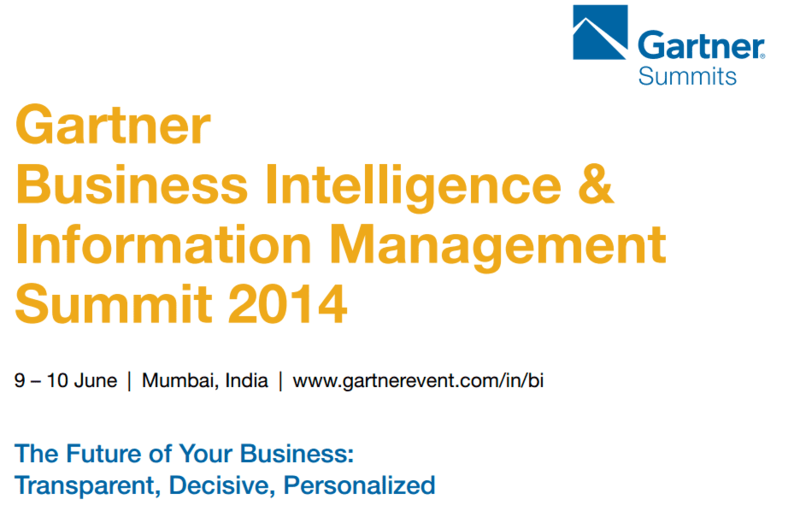 Focused on your next steps, the Gartner Business Intelligence & Information Management Summit provides critical insight into how information management and analytics enables new more transparent, decisive and personalized business models. Attend the Summit and walk away with practical steps you can action right away.